Programmable, plug and play electronic distributors with or without a built-in CD ignition system. The E-Fire is a programmable, plug and play electronic distributor that doesn’t require an external ignition box. It has a magnetic pickup for accurate spark timing, and has seven preprogrammed advance curves to choose from. The vacuum advance comes preprogrammed for high performance use, or you can design your own advance curve with the included Windows-based software. That software also controls the single-stage rev limiter—no chip are required. A 3-Bar MAP sensor provides boost-proportional timing retard and can handle up to 30 pounds of boost. 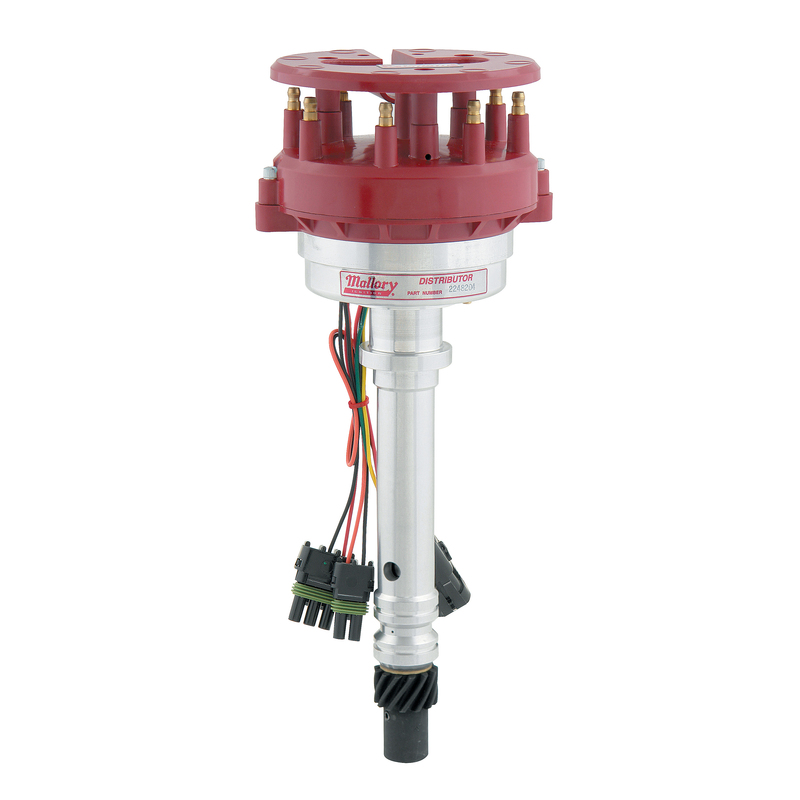 The E-Fire distributor has a CNC-machined billet aluminum housing and a preterminated wiring harness with weatherproof terminals. A distributor cap and rotor are included. The Max-Fire combines the features of the E-Fire distributor with a built-in capacitive discharge ignition box. The Multi-Strike CD ignition has a digital processor for maximum timing accuracy, and fires multiple sparks for 20-plus degrees of timing at low rpm. That improves throttle response and acceleration.